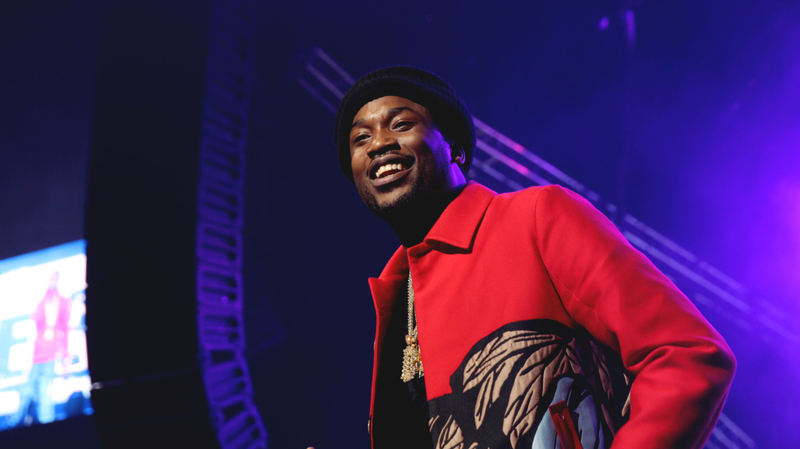 Early Saturday morning (Nov. 18) it was reported that Meek Mill's request to get out of solitary confinement has been granted. According to TMZ, in addition to being moved out of solitary and into the general population, the Philadelphia rapper was also moved to a different prison entirely. As reported, he is now at the State Correctional Institution in Chester, PA.
Meek was initially placed in solitary confinement due to prison officials reportedly being concerned about his interacting with other inmates, with solitary being one surefire way to protect the rapper. However, Meek's legal team reportedly fought against the placement, explaining that solitary confinement has its own slew of damaging side effects, especially to one's psyche, so they requested the 30-year-old be placed with the other inmates. Additionally, Meek reportedly will be assigned a job as well, such as cleaning prison cells or cooking in the kitchen, with both assigned duties paying 19 cents an hour. While reports that he was granted a new bail hearing surfaced yesterday and later were refuted, with court officials explaining the scheduled date was a clerical error, supporters of the rapper, such as Rick Ross, are remaining ever-focused on helping fight for justice for Meek. The rapper was sentenced to two to four years for probation violation nearly two weeks ago, resulting in a wave of anger and action from the community and celebrities such as Ross, JAY-Z, Macklemore, Wale and more.